A custom printed t-shirt is a great way to get your logo or event widely known. This general purpose product is great for sporting events, school events, political or religious recognition, volunteer shirts, trade shows, casual wear, entertainment, construction, advertisement, you name it! Our screen printing technology will ensure that your shirt will last through several washing's and rough conditions. We print with smooth high durability plastisol ink up to 8 colors, numerous print locations, and large size imprints for better brand recognition. 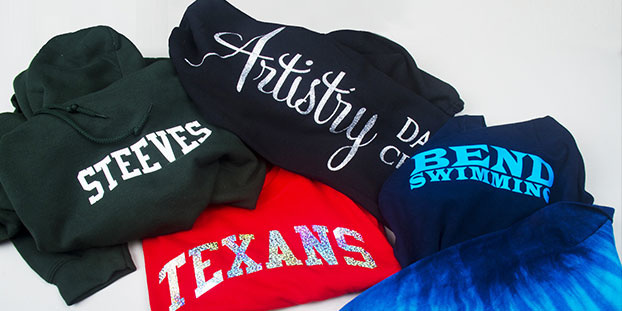 Embroidering your logo on apparel is a great way to gain recognition. Not only does embroidery look sleek, but it will nearly last the life of the product. 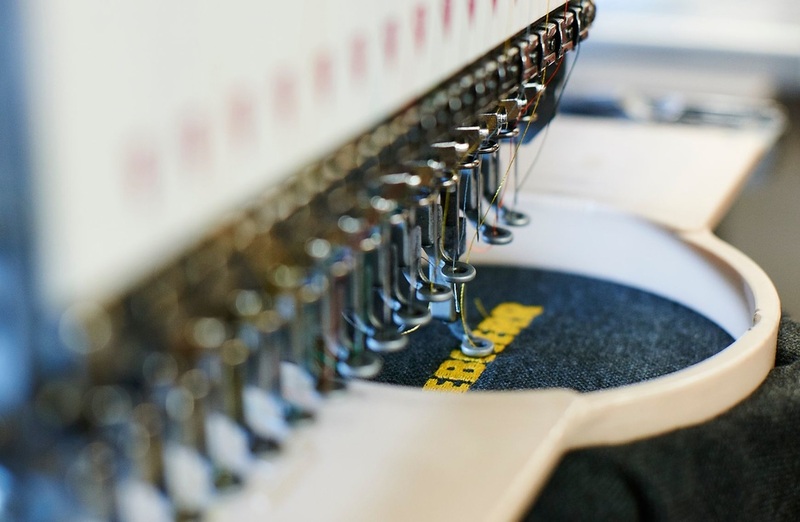 We make sure to capture the most important detail when stitching products to make your embroider pop out of the garment. Another great benefit of embroidery is that is blends into the garment and looks like elevated colored fabric. Vinyl production will ensure that your personalization needs are met. We can imprint custom names, numbers and even logos over a wide variety of materials and locations. Vinyl production is great for player jerseys, small orders, and hard to print locations on bags, canopy's, and more. You name it, we got it! We can provide hundreds of thousands of custom printed promotional products, in a time frame that works for you. Orders must meet a certain quantity to qualify. Below is a list of products that we can provide, and that's not all! Contact us for special order inquires.